Avoiding excessive salt intake isn’t the only concern for most people. There’s a huge debate on whether to use iodized (table) salt or sea salt. Sea salt is growing increasingly popular. Many people are opting for sea salt over iodized salt, but do you know the differences between these types of salt? Before we look at iodized salt vs. sea salt, let me dispel the common myth that sea salt contains less sodium than table salt. According to the Mayo Clinic, these two types of salt contain the same amount of sodium. Now, let’s look into the differences between sea salt and iodized salt. We need iodine to keep our thyroid glands functioning optimally. Low iodine intake can cause thyroid issues such as an enlarged thyroid (goiter) and hypothyroidism. One of the biggest concerns for those who use sea salt is that it lacks iodine. Iodized salt, on the other hand, has added iodine, which can help lower the risk of iodine deficiency. If you opt for sea salt, make sure you get enough iodine from sea vegetables such as kombu, kelp and arame. Unlike table salt, sea salt contains minerals such as magnesium, Sulphur and iron. Keep in mind that only unrefined sea salt contains these minerals. Refined sea salt lacks minerals, just like table salt. Most table salts contain anti-caking agents, an ingredient that keeps the salt granules from clumping together. Note that some refined sea salt also contains anti-caking agents. If you’re concerned about anti-caking agents, know that the FDA says they’re safe, though you may want to take that with a grain of salt. 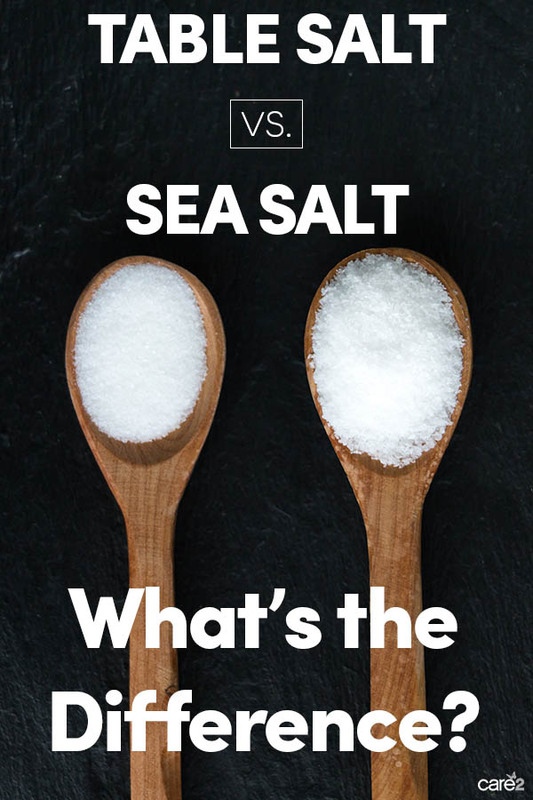 It’s hard to tell the difference between table salt and sea salt after cooking, but you’ll notice a difference if you add sea salt to already-cooked food. It has a strong flavor and tastes less salty. Table salt has a stronger salty taste. Most people prefer to use it when baking, because it dissolves quickly. There’s a huge difference in price between sea salt and table salt. Some types of sea salt, like Himalayan pink salt, cost about $40 per pound, while a pound of table salt costs less than a dollar. So, which type of salt is healthier? As you can see, the nutritional differences between sea salt and table salt are minimal. Now, it’s up to you to decide which type of salt to use. 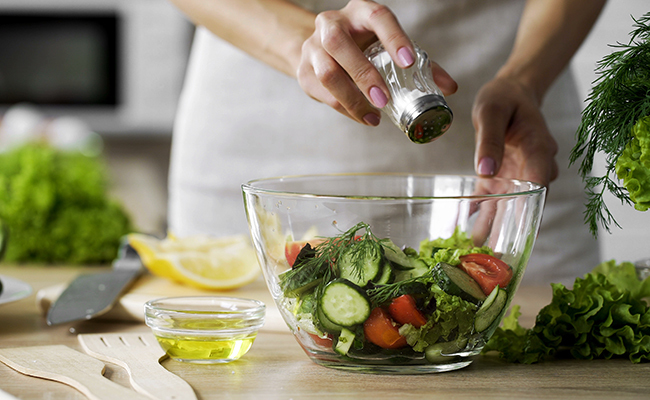 If you opt for table salt, make sure you get the essential nutrients found in sea salt from other foods. If you choose sea salt, increase your intake of iodine-rich foods in order to get enough iodine. Fun fact: Every health-conscious person knows that excessive salt intake is harmful, but did you know that low salt intake is harmful as well? A saltless diet can actually increase the risk of death in people with heart failure, according to research. Which type of salt do you prefer and why? I use Himalayan salt, but I also take a kelp tablet daily. Sea salt is evaporated from sea water in pans: Himalayan salt is mined. Because it is so old, it was deposited well before our over-use of plastics.